Between Crested Butte and the actual pass of the West Maroon Pass trail, this is a view looking back at the distand Rocky Mountains. 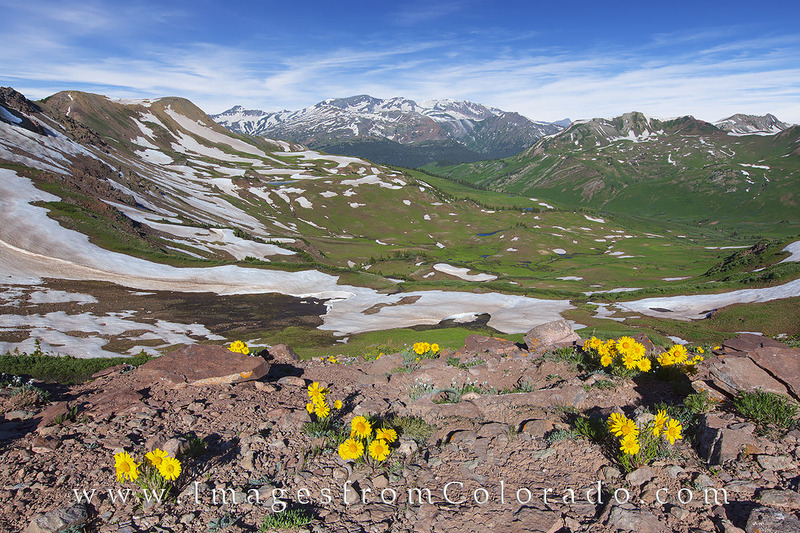 In the foreground, Old Man of the Mountain - Colorado summer wildflowers - cling to the rocky slopes on a series of switchbacks. Wildflowers of many varieties and colors lined the trail on the way up and down the path on this 12 mile trek through the mountains. Photo © copyright by Rob Greebon.